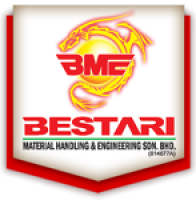 Bestari Material Handling & Engineering Sdn Bhd (BESTARI), was established re-brand of Sunrise Advanced Technology Sdn Bhd which was established in Malaysia in May 2002, with the objective to provide a broader range of services to the market and cater the whole segment of the Material Handling Industry & Engineering Our office is located at the Kawasan Perindustrian Air Hitam, Klang. Since founded in 2008, we have been focusing on hoisting machinery developing, designing, supplying and servicing. Nowadays, it is the top 10 hoist and crane service provider in Malaysia. We have newly developed electric chain hoist and Korea branded series electric wire-roped hoist. Besides excellent performance and fashionable appearance, all the products are adopted modularization design. Moreover, it has completely passed ISO9001, CE, GS and other quality system certificates. Our mission is to continuous expansion of business activities amd market-size throughout the Asian region. We also attaian an international perspective as the One Stop Provider of Total Industrial Supplies and work to deliver and achieve our customer's pioneering technology product, processess and equipment. Come and join our growing company to enhance your career with us.